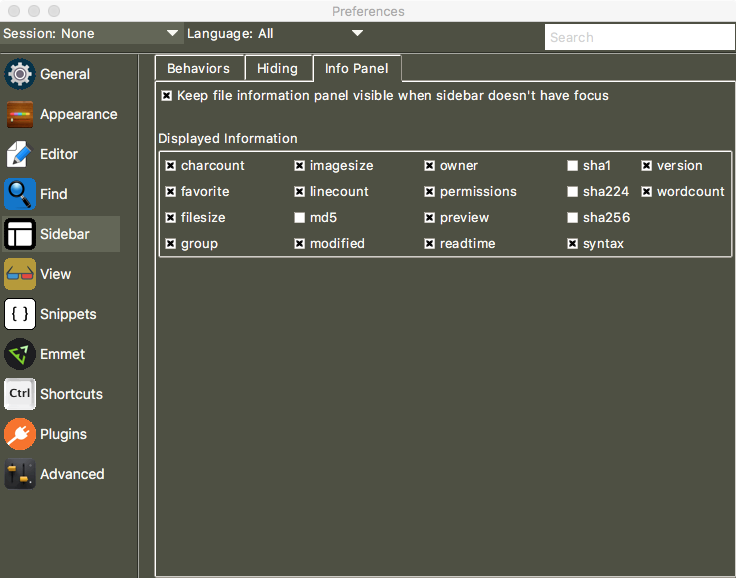 Themes in TKE control the look of the editor. Themes can alter the look of the window elements such as color, size, thickness, etc. 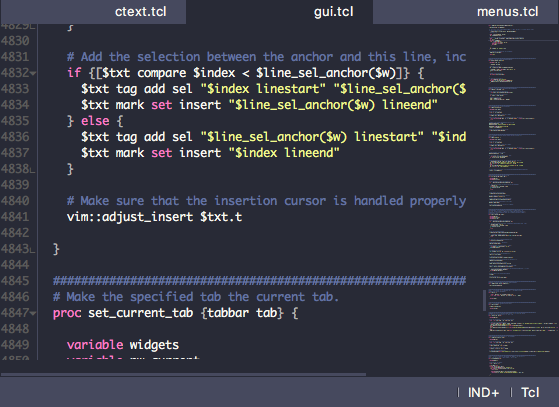 They can set the colors used in syntax highlighting. They can also set the various icons used throughout the application. TKE has several different themes that you can choose from via the View / Set Theme submenu. Just select a theme from the available list to cause the UI to immediately update. However, using the menu will only cause the theme to be changed while the application is running. 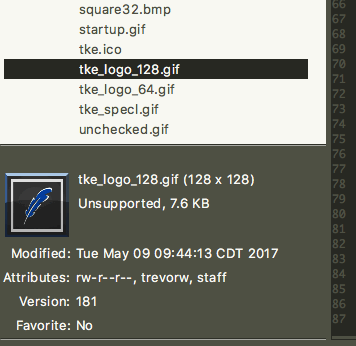 If you close TKE and restart it, TKE will use the theme that was set in the preferences area. 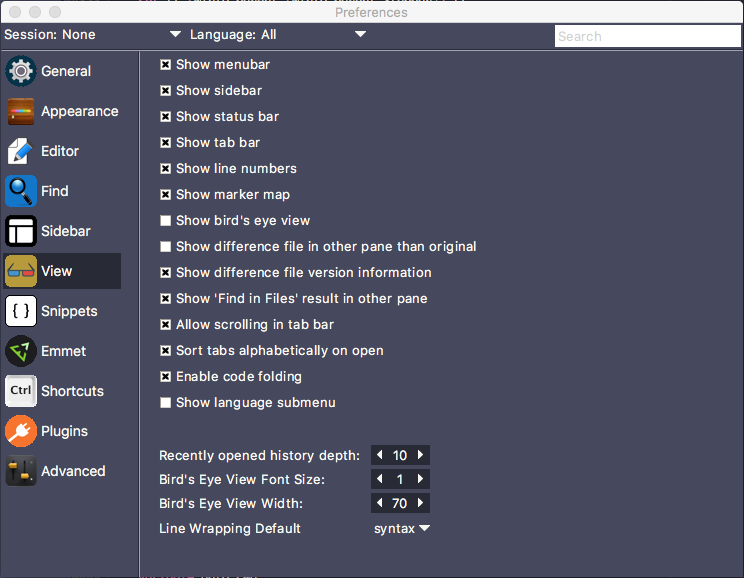 To change the theme via the preferences window, launch the preferences (via Edit / Preferences / Edit User – Global menu option) and select the Appearance panel in the sidebar. The first option in the panel will allow you to set the default theme to use when launching TKE. But what if you want to try out more themes can come built into TKE? Well, TKE has a way to import new themes using the Manage Themes tab in the Appearances Panel. Selecting that tab will display the list of all themes that are currently available within the application. The theme table displays all of the available themes within TKE. You can change the visibility of themes by clicking on the checkbox in the Visible column of the table. If a theme’s visibility is turned off, the associated theme will not be displayed in any of the theme selection menus. This can be useful for hiding built-in themes that you are not interested in using. To get new themes, click on the Get More Themes… button in the lower right corner of the panel. This will launch your web browser to the new TKE themes page where you can browse, filter and download other available pre-built free themes. When you download a theme from the website, to install the theme you can click on the Add button which will launch a file selection dialog window. Find the downloaded theme and click on the Open button to install the theme. In addition to installing new themes, you can also delete previously imported themes by selecting the theme and clicking on the Delete button. You can also edit any theme by selecting the theme and clicking on the Edit button. This will launch the theme editor (which will be a topic of future conversation). Themes are not just eye candy within TKE. Each saved session can set its own theme, making themes useful for session identification. To see more information and download your copy of the TKE code editor, visit tke.sourceforge.net.